Extending selling area at short notice, providing storage surfaces, creating mobile shopping possibilities: Shop containers become more and more popular as a mobile and uncomplicated retail area. No wonder that the containers are applicable for nearly all purposes and offer a high indoor quality. 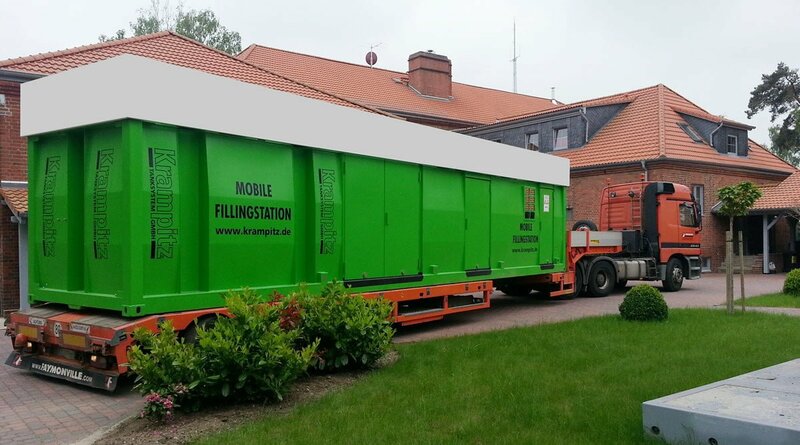 Nevertheless, these are not the only advantages of our Krampitz container solutions. The biggest advantage of shop containers is in the wide field of their application possibilities. 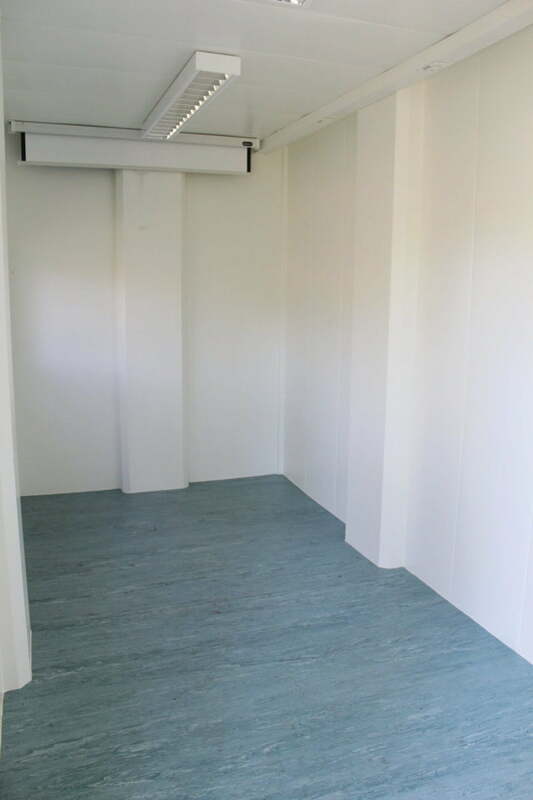 Thus it is the room containers which are used according to area of application. A classical operational area for shop containers are for example supplements for retail shops. At short notice in this connection the sales can be extended. Delays hardly originate, because the containers are fast mounted and operational. However, sales containers are also increasingly substituted as a full salesroom. By means of the high-quality sense of spaciousness, which the containers provide, they are just as good as actual sales buildings and lower investment costs with new establishments. Many smaller gas-stations and car rentals already apply that policy. Above all in events and camps, (drilling stations, expeditions or similar) which often change the place, a mobile container pays off. Thus a sales container can be put up on a camping place or beside a workers camp. If it comes to relocation, the container simply travels by truck. 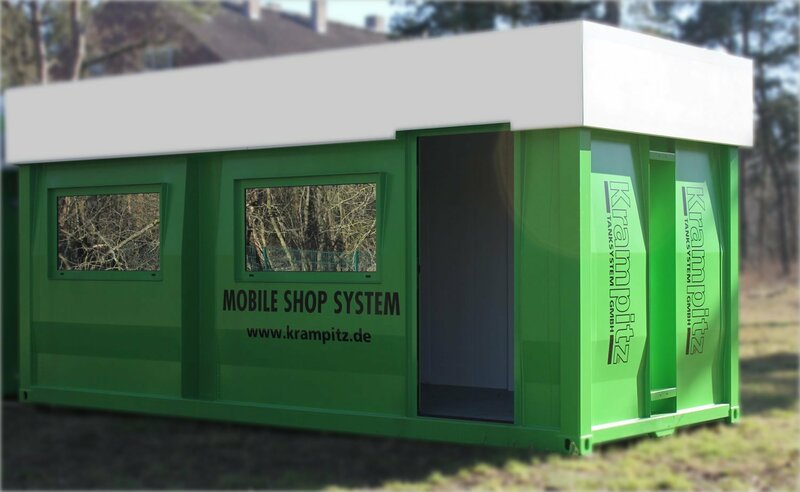 The company Krampitz provides an extensive service system for the shop containers. According to application area containers can be bought. As a matter of course we arrange for you the delivery and assembly. Another big advantage of mobile shop containers is that they can be equipped by your wishes and constructed. At the beginning stands a simple room container of 10 or 20 ft. From which many segments can be user-defined combined. 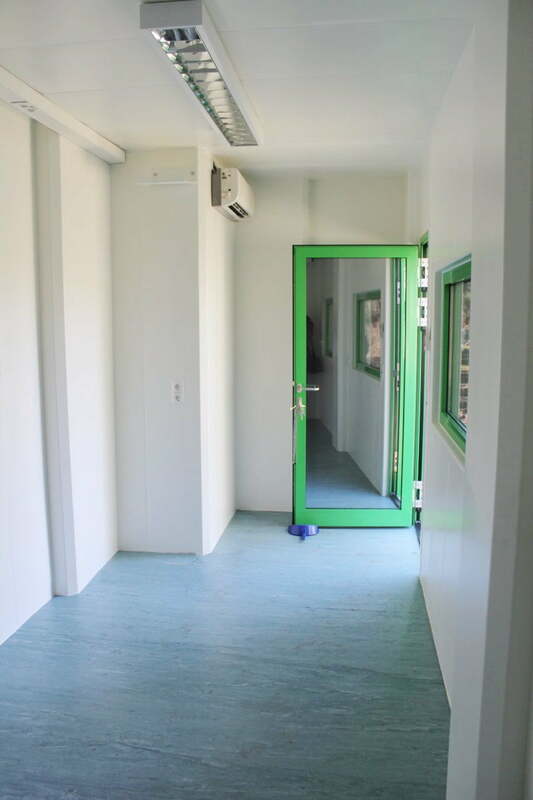 By window, doors, sound absorption and heat insulation you can adapt the containers to your wishes. For us the high quality of the container is self-evident. Thanks to new technologies nowadays, sales containers offer good heat insulation, an exemplary sound insulation, a reliable security system and ideal spacious interiors. Who is inside the container, will hardly find a difference to a permanent building. All in all there is nothing to be said against the application of mobile containers as selling areas. They can be used flexibly, are simple to transport and individually configurable. At Krampitz you can buy the best container solutions conveneniently. Get in contact with us and convey your wishes.